Mahmoud al-Mabhouh, a founding member of Hamas' military wing, survived three other previous attempts on his life. Melbourne, Australia (CNN) -- Australia on Monday called for the expulsion of an Israeli diplomat over fake passports used in the assassination of a Hamas operative in the United Arab Emirates. An investigation had confirmed that Israeli agents were behind the forgery of Australian passports used in the January 20 killing of Mahmoud al-Mabhouh, a founding member of Hamas' military wing, Foreign Minister Stephen Smith said. The four Australians whose passports were used were victims of passport fraud and had nothing to do with the killing, he said. Smith did not elaborate whom Australia wanted expelled from the Israeli diplomatic mission in Canberra but said diplomat has to leave within the week. He briefed parliament on the results of the investigation Monday morning and said the forgeries were so sophisticated, only a state intelligence service could have carried them out. A total of 28 suspects have been identified by Dubai police. The suspects are believed to have acquired faulty passports to arrive in Dubai for the killing and then fled to other far-flung locations, police said. The 26 named suspects do not include two Palestinians previously arrested in Jordan and returned to the United Arab Emirates. In February, the European Union condemned the use of false EU passports in connection with al-Mabhouh's slaying. 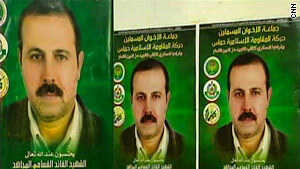 Signs indicated that al-Mabhouh resisted as he was being suffocated, police said.